Trying something new on The Self-Care Sloth today… I am an avid reader and massive book-lover. I always have been. So it seemed silly to shy away from bookish content on this blog. Reading is definitely a self-care activity for me, so I thought it might be nice to start sharing some of the books I read on here. This month, I discovered Prime Reading. How had I been using Amazon Prime for months without realising this feature existed? I don’t know! But I discovered it, very quickly downloaded the Kindle app to my phone and started searching for new titles to enjoy. I was so excited! Disclaimer: I have absolutely no affiliation to Amazon or Kindle, but I do have an affiliate code for the Book Depository. So any links in this post that direct you to the Book Depository will earn me a small commission if you decide to buy the book. It won’t cost you any extra. 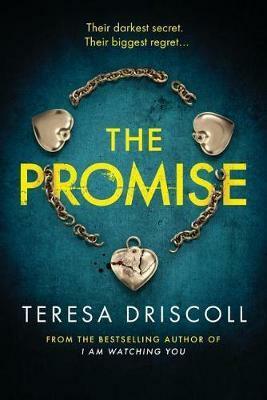 While searching through the Discover tab on my Kindle app, I kept coming across ‘The Promise’ by Teresa Driscoll. I don’t know Teresa Driscoll at all, have never read a book by her, so I didn’t know what to expect, but it looked like my kind of thing. I was right – definitely my kind of thing! What is ‘The Promise’ About? ‘The Promise’ is marketed as a psychological thriller, which is definitely a favourite genre of mine. I would definitely agree with that description, there are a lot of psychological twists and turns to keep you turning the page. The book mostly follows a character called Beth who, although now married with two children, spends a lot of time thinking about what happened in her past. From the outset, we know that something dark happened between her and her two best friends, Sally and Carol, whilst they were at boarding school. We get a lot of hints about what happened, but even when we learn that secret, lots of others continue to be uncovered. The book begins as the women receive an invite to visit their old school before it is demolished. This starts to bring up the past and Beth starts to look for Carol, who has been off of everyone’s radar for quite a while. …when some shocking news threatens to unearth their dark secret, Beth enlists the help of private investigator Matthew Hill to help her and Sally reconnect with estranged Carol – before the terrible act they committed as teenagers is revealed. I often go into modern thrillers with some trepidation. I don’t know why – I usually enjoy them. I just think it is a hard genre to get right, without going over-the-top with twists and reveals, but Teresa Driscoll got it spot on. I couldn’t put this book down and it’s by far the quickest I have read a book in the last 6 months. The steady flow of secrets being revealed and questions arising kept me on the edge of my seat. The tone of the book is just right – even during quite dark or violent scenes, the tone of Driscoll’s writing was sensitive, mature and kept the pace moving. 4 out of 5 stars – I would definitely recommend to any fellow thriller enthusiast. Have you read ‘The Promise’? What did you think? Are there any other good thrillers you would recommend? Quite often, when I’m having a down day, I find myself drawn to the idea of baking. Do I ever usually bake? Nope. Have I ever leaned in to this feeling and tried baking myself out of a slump? (Well, the way I’ve worded that sounds painful…) Nope! The truth is, I’m not a very natural baker, I can’t usually decide on a recipe and when I’m having a bad day I’m far too lazy to shop for ingredients! But today, I decided to go with my gut and see if it worked. Surely, if my brain kept turning to baking when I was in a slump, it must mean something? It might make me feel much better. And if not, at least I might get some cake out of it! So I turned to the ever-trusty BBC Good Food and chose this recipe for banana and blueberry muffins. (I’m in no way sponsored or supported by BBC Good Food, I just love their recipes) I won’t talk through the whole recipe in this post, so if you want to have a go yourself then please head over to their website. First mountain to climb – going out to buy the ingredients. I really wasn’t feeling like facing the outside world this afternoon, so I asked my fiance to come with me. We quickly had everything we needed (plus a few things we didn’t need!) and I could get home to start baking. Getting out in the fresh air did actually help to pick my mood up, and I found that I starting to feel excited to get back to the kitchen and start creating – maybe this wasn’t such a bad idea after all? Ingredients found – and mini eggs to eat whilst baking, of course! The ingredients you need for this recipe are pretty simple and easy to get hold of. Just what I needed for an easy Sunday self-care bake. This was such an easy recipe. If I can do it, anyone can! All you had to was mix together the dry ingredients and leave them to one side whilst you mashed the banana and mixed that together with oil, buttermilk and egg whites. The hardest bit was separating the egg whites – look what a mess I made of it! Nothing looks good before it’s cooked! What I really liked about this recipe was that it included hints and things to look out for. For example, it warned me that the muffin cases would end up very full with this amount of mixture. This was helpful, because otherwise I would have under-filled them and been left with leftover mixture. In the end, I don’t think I did such a bad job. These were tasty, not too sweet, and just the right size for a Sunday-blogging snack. So… was it therapeutic getting the kitchen messy and making muffins? Actually, yes it was. I can see why so many people turn to baking and cooking to calm themselves down or cheer themselves up. I felt productive, creative and purposeful. I did cheer up and I enjoyed the process. Of course, having delicious baked goods at the end of it is always a bonus too! I think that I’d always avoided baking or cooking when I felt depressed because I was scared of it going wrong – I’m not a natural cook – and then feeling worse. However, if I give myself a little bit of forgiveness to make mistakes, go with an easy recipe, and just let myself enjoy the process – this could be a good new hobby for me! I was surprised just how much this picked up my mood on an otherwise gloomy Sunday. Do you like baking? I’d love to know what you like making and any tips you have for a novice like me. I haven’t written a post in quite a few months, which I’m sure not many people have noticed, but I wanted to get back into the swing of things and start blogging more frequently again. I’ve been trying to put more of my time this year into preventative self-care. That is, taking care of myself to keep my body and mind healthy, to avoid any down-turns in my mental health, rather than waiting until I feel the need to use self-care to recover. One of the main ways I’ve been doing this (hint the picture above…) is heading to the gym. I have a real love-hate relationship with exercise on the whole, but I do know that if I drag myself out the house and go for a jog, or sweat my way through a gym class, I do feel better. This works if I’m in a bad mood, but I have also noticed that on the weeks that I put the effort in to work out more often, I feel better on the whole. I also like to make sure that I am always getting enough sleep. I am someone who needs plenty of sleep to function properly! I know this fact about myself, so why starve myself of sleep? For me to feel calm and prepared for the day ahead, I need to have had a good night’s sleep. Sometimes (frequently) you have a bad (awful) day, filled with stress and panic, and you need some serious self-care time that evening to recover. Cooking up some delicious comfort food. Taking a bath with lots of Dead Sea salts. I have found that doing some more pro-active and preventative self-care has lessened the frequency of those ‘first aid’ days, but sometimes you just have to spend a few hours recovering. If you want to read more about my self-care habits, I have written posts before on winter self-care ideas and low energy self-care activities. What I Learnt from Being Stuck in Bed for Four Days. About a week ago, I was more ill than I have been for ages. (That is an occupational hazard of teaching though – a lot of sickness bugs get shared around the school!) I had some kind of bad cold/flu that knocked me sideways for most of the week. I fell ill on the Saturday afternoon, and by that night I was feverish, coughing, and generally just feeling pretty awful. I stayed in bed all of Sunday and then, quite reluctantly, dragged myself to work on Monday. That was a bad idea. I struggled through Monday at school, feeling lethargic and low in energy. I was coughing and wheezing through all my lessons, trying desperately to seem upbeat and positive. By the end of the day, I felt 10 times worse and my line manager promptly sent me home under strict instructions to get better. So, I spent Tuesday and Wednesday at home. In bed. Feeling utterly useless. So why all the worry? Why did I find it so hard just to rest and recover? I suppose I’m just so used to being busy. My job means that I’m on the go all day, often taking work home with me as well. I work at weekends, go to the gym when I can, wake up early to fit more into my day and spend my evenings wedding planning. I love being busy and it’s just become part of who I am. However, the shock to my system when I was forced to give all this up for a few days was unbelievable. I couldn’t adjust to suddenly feeling helpless and out of control. All I had was a cold, why on earth couldn’t I just get out the house and get stuff done? Then I realised – I needed the rest. My body needed to rest. It was unwell and it was never going to get better if I forced it through a school day, a workout and a few hours of admin. I needed to sleep, relax and recover. Once I found peace with that, I coped a lot better. I’m interested to know if any of you have been in the same situation – I’m sure that any of you who, unlike me, are self-employed or work from home, have certainly felt this guilt when you can’t do anything. But it is so important to give your body what it needs. Whether that is good food, lots of water, some exercise, or just complete rest. I got back to work on Thursday and now feel pretty much back to normal. If I hadn’t let my body recover for a few days, I’m certain that right now I’d feel just as awful as I did last weekend. If not worse. Next time you’re ill and stuck in bed, try to see the upside. If you can, read a book. Or watch Netflix, or listen to a podcast. Enjoy whatever hobbies or relaxing activities you never normally have the time for, but can do with very little energy. Have a bath, curl up with your pet, eat comfort foods and drink Lucozade. When you decide to see this as a self-care opportunity rather that forced bed-rest, your mentality shifts to one of positivity and health, rather than negativity and sickness. There are lots of things to moan about in the winter – who really likes the dark evenings and stepping in a huge puddle? However, there are also lots of things to love about the winter too. Like the lighter mornings, the crisp, clean feel to the air, and the atmosphere of celebration around the holidays. The cold weather and the dark can take their toll on your mood if you’re not careful – as can the holidays, which are often difficult times for people, for all sorts of reasons. For these reasons, it is really important to take care of yourself in the colder months. Self-care can be a solution to a bad day or, even better, a preventative measure, carried out little and often to help keep those low days at bay. There’s nothing quite like climbing into your bed at the end of the day when the sheets are brand new and super comfortable. If you’re having trouble sleeping, make sure your room is at the right temperature for you and perhaps try a sleep spray or a hot milky drink as well. Bake a treat for someone. Baking on its own is often therapeutic, but why not add on the additional joy of taking what you’ve made and sharing it with someone. Maybe your co-workers would like a Monday pick-me-up, or an elderly neighbour would really appreciate the gesture? If you’re not a confident baker and want to start off with something more simple, the packet mixes you can get from supermarkets that just involve adding water or eggs are brilliant. They are also great for baking with young children! Wrap up warm and go for a walk. I love to grab my collapsible coffee cup, put on a thick scarf, and go for a long walk. This is one of my favourite activities, despite the cold weather. When it’s a dry but cold day, I love to wrap up in my cosiest jumper, a thick scarf and a woolly hat, and head out for a walk. If I’m going by myself, I’ll often take a book to stop off somewhere and have a read, or I’ll listen to a podcast whilst I walk. If it’s me and my fiance walking, we’ll often play Pokemon Go on our route, or just enjoy the time to talk with no distractions. My reusable cup filled with coffee often joins us on the walk too! This activity is great for your mind, as well as getting your legs moving and incorporating a little bit of exercise into your self-care routine. Simple, classic, and a perfect activity for a wet and rainy day. Grab a hot drink, curl up in your duvet and appreciate having the time to do nothing except read your favourite book. For winter reads I particularly love horrors, thrillers, historical fiction and crime novels. Have a totally indulgent hot bath or shower. I know that I’ve said before that self-care is about more than just hot bubble baths, however sometimes that is exactly what you need. Treat yourself to a warming and relaxing bath to escape the cold weather and relax. If baths aren’t your thing, just allow yourself the indulgence of not worrying too much about the hot water bill for a few minutes and whack the heat up on your shower. Choose a luxuriously scented shower gel, sing as loud as you like and feel the tension melt away. What do you love most about the colder months? Last month, when I was feeling down, I ordered myself a Buddy Box from The Blurt Foundation as a pick-me-up. I totally forgot about it and had a lovely surprise when I picked up this mystery parcel from the delivery office. If you saw my ‘How I’m Dealing With Stress’ post, you’ll know I had been having a bit of a rough time, and my Buddy Box just made my day. I have followed and loved The Blurt Foundation for a few years and I think they do a great job. Their aim is to increase awareness and understanding of depression, as well as providing support and resources to those suffering from depression. It’s a fantastic cause, and one very close to my heart, and I would really recommend giving them a follow on Twitter or checking out their website. And who doesn’t want a hug in a box? I think this is really cute and I might put it up somewhere in my bedroom. Blurt produce this zine that goes in every BuddyBox. It’s full of sleep tips and information. A really helpful, quick read. This gives the BuddyBox some really beneficial substance that perhaps the products on their own would lack. I think this is a great addition to the box. Although I do think these have a bit of a tenuous link to the ‘sleep’ theme, I do like them. They’re very cute and I always love a new piece of stationery. Particularly novelty post-its. These are by Gemma Correll and I will definitely be checking out the rest of her stuff if I can. This Scentered de-stress balm is a stick of lovely aromatherapy scented balm, which you rub on your pulse points (Your wrists, temples or neck.) to help you feel calmer and hopefully get some sleep. I really like the scent of this and it is really calming to smell when you’re feeling worked up or stressed. I’ve saved the best until last in my opinion. Look at these socks! They are fluffy, soft and very, very comfortable. They’re also really long, reaching nearly up to my knees, which I love. These are great for the chilly evenings that are creeping in at the moment and they are my favourite thing from the Buddy Box. All in all, I really liked the products sent in this box. It really perked up my day receiving the box in the post and the items in it are comforting and great for self-care. My most used item so far has been the gorgeously cosy socks and I have used the de-stressing balm on occasion. Although I liked the post-it notes a lot, I do think there could have been something more relevant to the theme. Overall, I’d say that if you’re going through a tough time, or you know someone who is, and can afford to splash out a little bit of money (it really isn’t that much actually) to get a Buddy Box sent to your door, it is definitely worth doing. And you know your money is going to a really worthwhile organisation. Two tag posts in a row? I know, lazy blogger! But I couldn’t resist jumping straight into this wonderful post, listing 50 things that make me happy. I was very kindly tagged by Colourful Hope, whose post is here. I think the idea of listing 50 things that make you happy is brilliant. It’s a list, so it sounds simple – but 50 is a pretty big number! (The most I’ve dared so far is 26!) Having to think of 50 individual things that make me feel happy can only be a good thing for my wellbeing. So, here goes!